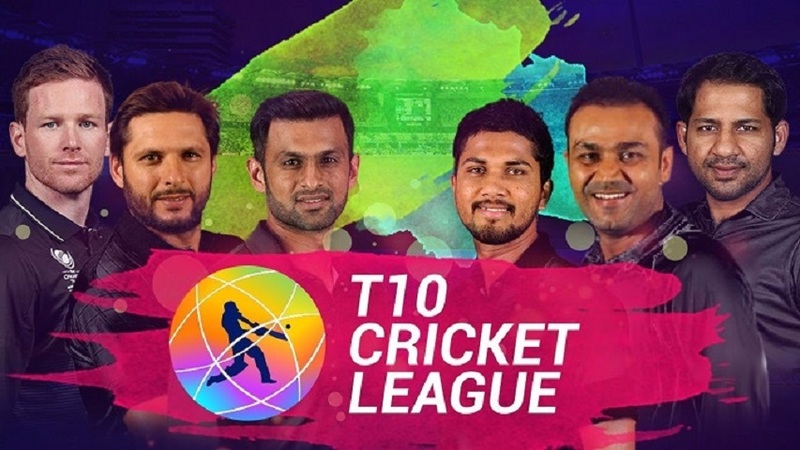 T10 league the newest form of cricket, it is professional ten over cricket launched and owned by T10 sports management. The new form of cricket was approved by the Emirates Cricket Board. Cricket as a game has changed over the year. From endless test cricket match to five days test cricket and from 60 over ODI cricket to 50 over to twenty20 cricket, we see a change a drastic change in the form of cricket. Now the recent introduction is the T10 league. The duration of this game is only 90 minutes and each team plays for 10 overs. This form of the game was introduced in the year 2017 that is last year. The winner of the previous season were Kerala kings. This year on August 2018 this form of the game was internationally approved by the ICC ( International Cricket Council). This is much shorter than the existing form of cricket. This form of cricket was introduced to make the game more interesting for the spectators and make it closer to the time span of other popular games. Cricket has changed its course from the bowler’s hand to batsman’s bat. Gone are those days when batsmen used to fear the fast bowlers of West Indies. T10 games are generally unpredictable and the game can change hands in just one over. In a T10 match we find more boundaries and sixes than any other form of cricket and scoring a 100 is now no more a herculean task. The T10 league is played for over four days, followed by semi-finals and the finals. The previous season was played in 2017 took place between 14-17 December in Sharjah Cricket Stadium. T10 league was founded by Shaji-Ul-Mulk, the present chairperson of the T10 league. The president and partner of the league is Salman Iqbal. The ICC has sanctioned the second season of the T10 league and it is going to start from November 23 in Sharjah. This year two new teams and going to participate in this game making it a total of eight teams, and a ten day long season. T10 is the new evolution of the game of cricket. It is the shortest form of cricket. The duration of the game is 90 minutes, and this duration was decided keeping in mind the time and duration of other form of games like football, etc. Both local and international players will be seen playing in this league. Eoin Morgan led Kerala kings win the inaugural season of this game last year. The ICC sanctioning for the second season of the game has given the player, partners and stakeholders a great boast. 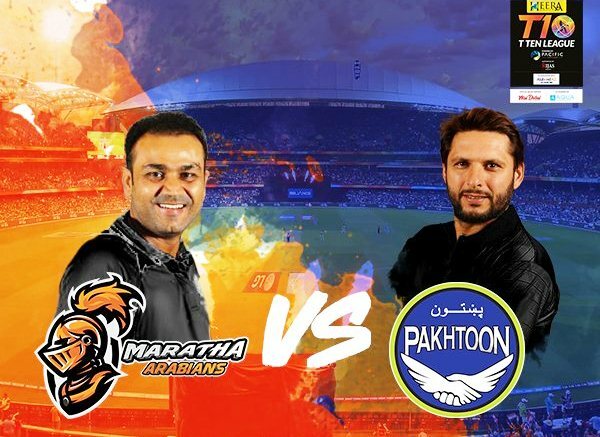 Some of the start players everyone will be keeping eye in the game are Rashid Khan (Maratha Arabians), Shahid Afridi (Pakhtoons), Shoaib Malik (Punjab League), Eoin Morgan (Kerala Kings), Brendon Mccullum (Rajputs), Sunil Narine (Bengal Tigers), Darren Sammy (Northern Warriors) and Shane Watson ( Karachians). These iconic players for each team have been roped together for this league. The sanction of the money has added a shine to this game. From 4 days league to 10 days league, the leap is huge. The addition of new team, new international players has increased the popularity of the game. The last year T10 league was a great combination of nuclear bating and rampant commerce. The game drew a lot of crowd. This was the shortest form of cricket, and the 10 overs and 90 minutes was an alien thought for cricket lovers. So the founder and sponsors were sceptical about the game and the crowd it will draw. But to their surprise 12,600 spectators gathered for the first match and their was a full sell out on Friday and Sunday. Many celebrities were seen supporting and cheering for their respective team. Some of these celebrities include Pakistan former President Pervez Musharraf and Dalip Singh Rana, popularly know as the Great Khali. People willingly payed top price to get a ticket in the celebrity stands. Some of the best highlights of the game were Shahid Afridi’s hat-trick wickets with the first 3 balls he bowled another highlight of this game was a sixteen year old cricketer of Afghanistan got the limited over captain of England out. A street cricketer broke the middle stump of Shahid Afridi into two pieces. Some of the best performances and top scorer of this form of cricket are Dwayne Bravo, Virender Sehwag and Rile Rossouw. The T10 game brought players to the lime light such as Mujeeb Zadran, a sixteen year old lad, also known as the mystery spinner from Afghanistan. He was late recruited for the team Bengal tigers but he was able to outfox Eoin Morgan easily. The Twenty20 form of cricket is known for its nail biting and last over finish. It is considered that the shorter the form the more interesting it gets. So it was expected that T10 will turn out to be interesting but it was not until the fourth match that we could such seat grabbing match. Rossouw, Maratha Arabian’s win from the six with the last ball, Kieron Pollard’s 40 runs from 12 balls and startling partnership between Paul Stirling and Morgan with 113 runs in 41 balls in the finals were some of the high points of these series. Though a score of 200 was not possible in this form till now but players were able to score a maximum of 132 runs on the loss of 1 wicket and lowest being 84 runs with a loss of 7 wickets. The winning team of the first league were Kerala Kings but their team has no such origin from the state of Kerala except for its name. The team was led an Irishman who captains England. The start player of the this team were from West Indies, Ireland and Pakistan. The Franchise owner was Hussain Adam Ali, a perfume tycoon from Yemen. The only connection that the team had with India was through the player Virender Sehwag, he was the only Indian playing for the Kerala Kings. With the introduction of this new form of cricket now the question arises about the future of this form of game. Do T10 league has a future? Will the people enjoy it like Twenty20 cricket? The answer is yet to be known but for now seeing the number of spectators that turned for the game, it feels like the game is going to take a long time to go off the market. This form of game is fit for Olympics. Virender Sehwag said that “if ICC are pondering over how to take cricket to Olympics, T10 will be the most apt form of cricket. T10 is new so it can be a treat for Cricket lovers who gets very less time to watch and enjoy the long form of cricket.” T10 is a great game for newer audience of cricket, people who just have developed a liking for the game as it a very short form of game.